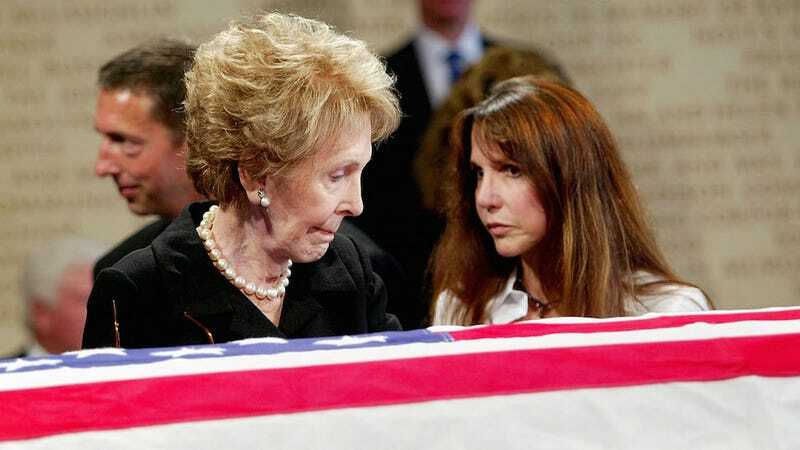 In an open letter published on the Daily Beast, Patti Davis—daughter of Ronald Reagan—chided Will Ferrell over Reagan, an upcoming comedy he’s slated to produce and star in, about the former president’s struggles with Alzheimer’s. Davis is not charmed by the idea. I watched helplessly as he reached for memories, for words, that were suddenly out of reach and moving farther away. For ten long years he drifted—past the memories that marked his life, past all that was familiar… and mercifully, finally past the fear. There was laughter in those years, but there was never humor. Alzheimer’s is the ultimate pirate, pillaging a person’s life and leaving an empty landscape behind. It sweeps up entire families, forcing everyone to claw their way through overwhelming grief, confusion, helplessness, and anger. Perhaps for your comedy you would like to visit some dementia facilities. I have—I didn’t find anything comedic there, and my hope would be that if you’re a decent human being, you wouldn’t either. A friendly reminder to Ferrell, Rosolio, and Davis (as well as filmmakers and critics at large): It’s definitely possible to create comedy that’s both compassionate and funny. Strive for both, favor the former.